Duck & Dry - When Salon Haircare Meets Eco Ingredients. I wasn't familiar with Duck & Dry at all before being introduced just a few weeks ago, and with good reason, I don't live in London. Duck & Dry is a LDN based blow dry bar that specializes in the perfect blow dry and signature up-do styles. D&D have recently expanded their nest and launched a fledgling range of products (the bird puns just keep'a comin') designed to help give you professional blow dry results at home. I have been testing the first two products to be released (another four will launch soon) and have been very impressed. 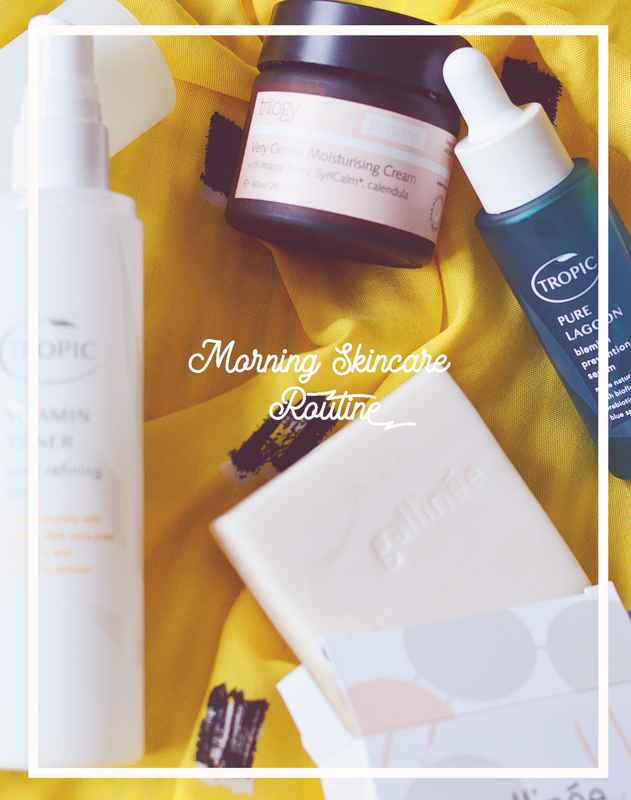 I think haircare is often as hard to get right as skincare, there is so much to take into consideration... oily scalp, coloured, thin, course, dry, damaged, sensitive, short, long... so. much. Whilst there are quite a few good options for natural haircare available, especially shampoo and conditioner, I am often left disappointed overall because the performance and technology is lagging behind when compared to makeup and skincare. There are so few new releases for haircare in the green industry, maybe three or four good ones a year compared to the weekly launches of new lip shines and face oils. This makes it all the more exciting when a new brand joins the family, and it helps that this time, technology is in play and these products work. The Blow Dry In A Bottle Mega Volume Spray has been heaven for my flat and heavy bob. I have quite a lot of hair that always needs thinning and cutting into a hell of a lot, and it's been quite a while since my last cut now so things are getting a little overgrown and heavy once more. A spritz of the Mega Volume Spray through my roots after washing, plus a quick blast of heat and we're looking bouncy and fresh once more. I love using this when I know I'm going to curl my hair the next day as it also adds a bit of texture too - all without feeling crispy or greasy. White nettle, honey locust and ginseng work to boost volume and combat oil product without the need for any harsh ingredients, too. Plus it smells real good, exactly like the hairdressers. The Instant TLC Leave-In Weightless Conditioner is another gem. I don't use conditioner in the shower these days as it just weighs down my locks, instead I apply some leave in conditioner afterwards to lightly condition and smooth, add shine and detangle. 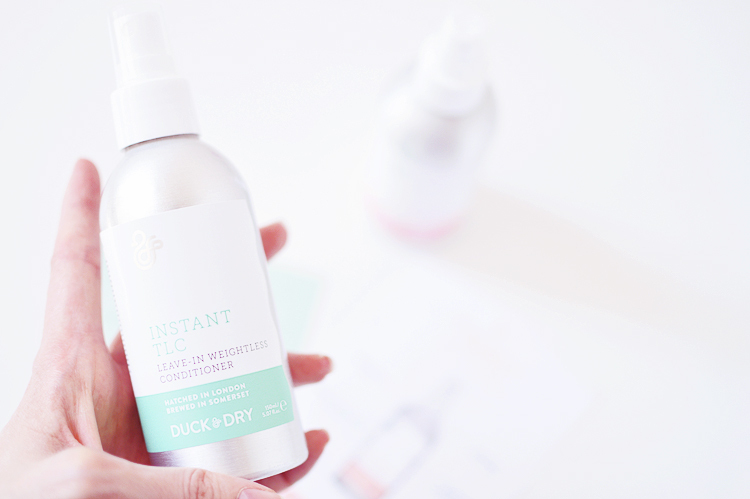 I have been really pleasantly surprised with the Instant TLC, it's incredibly light and works really well for me. I think the packaging has a big role to play here as the spray is very fine and it distributes the product perfectly. The conditioner seems quite thick (it contains shea butter and coconut oil), at least too thick for the spray so it does get a little clogged sometimes, but without the fine mist it just wouldn't work as well so it's a small price to pay. 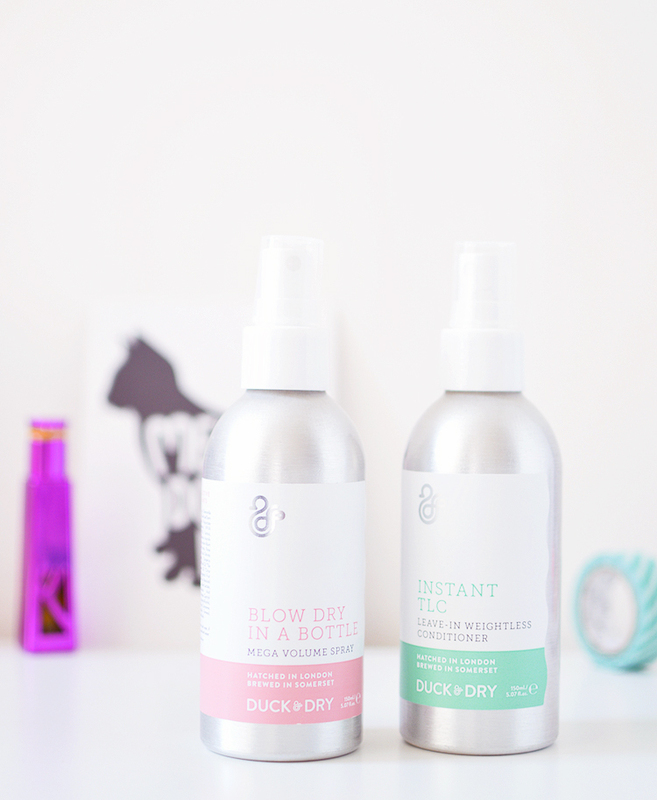 I'm quite smitten with my two new Duck & Dry haircare additions and can't wait to see the rest of the range now. Are you intrigued? Aqua, Chamomilla Recutita (Matricaria) Flower/Leaf/Stem Water, Alcohol Denat, Polysorbate 20, Glycerin (Vegetable), VP/VA Copolymer, Sodium PCA, Sorbitol, Diheptyl Succinate, Gleditsia Australis (Gleditsia) Seed Extract, Lamium Album (White Nettle) Flower Extract, Panax Ginseng Root Extract, Viola Odorata (Violet) Leaf Extract, *Juniperus Virginiana (Cedarwood) Wood Oil, *Tilia Cordata (Linden) Flower Oil, *Citrus Aurantium Bergamia (Bergamot) Fruit Oil, *Rosa Centifolia (Rose Absolute) Flower Oil, Lactic Acid, Sodium Lactate, Capryloyl Glycerin/Sebacic Acid Copolymer, Potassium Sorbate, Caprylyl Glycol, Propylene Glycol, Benzyl Alcohol, Dehydroacetic Acid, Parfum, Limonene, Linalool, Hydroxycitronellal, Farnesol, Coumarin. *Natural essential oils. Aqua, Isoamyl Cocoate, Alcohol Denat, Glycerin (Vegetable), Cetearyl Alcohol, Cocos Nucifera (Virgin Coconut) Oil, Butyrospermum Parkii (***Shea) Butter, Coco Caprylate, *Cananga Odorata (Ylang Ylang) Flower Oil, *Michelia Alba (Champaca Magnolia) Flower Oil, *Rosa Centifolia (Rose Absolute) Oil, *Tilia Cordata (Linden) Flower Oil, *Citrus Aurantium Bergamia (Bergamot) Fruit Oil, Cetearyl Alcohol, Polyquaternium-98, Diheptyl Succinate, Capryloyl Glycerin/Sebacic Acid Copolymer, Panthenol, Hydroxypropyltrimonium Honey, Sorbic Acid, Benzyl Alcohol, Dehydroacetic Acid, Sorbitol, Sodium PCA, Sodium Lactate, Caprylyl Glycol Cetrimonium Chloride, Distearoylethyl Dimonium Chloride, Parfum, **Limonene, **Linalool, **Geraniol, **Benzyl Benzoate, **Farnesol, **Benzyl Salicylate, **Coumarin, **Hexyl Cinnamal, **Hydroxycitronellal.